Delivery of products is always so prompt and it is great to get assistance with choosing the products that suit my baby's needs. Thanks again. 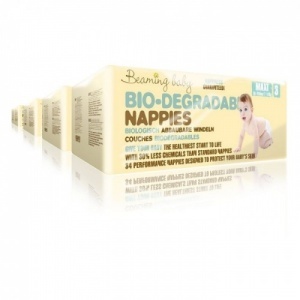 this product is perfect, takes a lot of stress out of being a new mother, no rash, bulk purchase, cost-effective, biodegradable, next day delivery and excellent service! I really like the nappies and the offer to bulk buy. I am delighted with the service and I happily use Earthmother for various baby produce. Love beaming baby nappies, both for environment but mostly the fact that they're less loaded with chemicals vs supermarket brands. Great value too through earthmother. Extremely prompt delivery - ordered them in the pm and they were with me before 8am next morning!